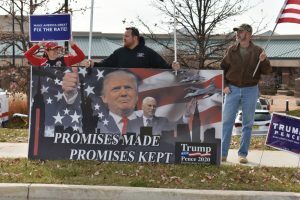 November, 29, 2017: Donald Trump’s supporters gather for the president’s tax reform speech at the St. Charles Convention Center in St. Charles, Missouri. Last Friday, the Republican-controlled House of Representatives passed a bundle of bills known as “Tax Reform 2.0.” This proposal would count “unborn children” as beneficiaries under 529 education savings plans. Political analysts don’t expect the bill to pass the Senate, given how divided it currently is. With that being said, it’s still possible for the proposal to be taken up after the midterm elections. A 529 plan is a tax incentive program that is designed to encourage parents and/or guardians to save for future education costs. 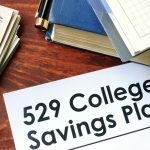 There are two types of 529 plans: prepaid tuition and education savings. Prepaid tuition allows the account holder to purchase education credits ahead of time, which can protect against increased costs in the future. The downside is that these are usually state-sponsored and not guaranteed by the federal government. An education savings plan, on the other hand, allows the account holder to open an investment account that can be used at any institution, including those outside of the U.S. All 50 states offer at least one of the two plans. Supporters of the measure say that it will allow expectant parents to get a head start on saving for their child’s college education. But current law already gives expectant parents this opportunity. All they would have to do is open a 529 plan and list themselves as the beneficiary, then transfer it to the child after birth.